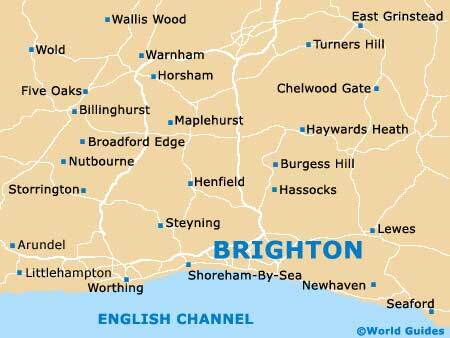 Situated on the south coast of England, the weather in Brighton and Hove is generally slightly warmer than the rest of the United Kingdom. East Sussex tends to have early springs, with very warm temperatures in the summer, combined with particularly mild winters. This is apparent by the many tropical plants that thrive in the city's lush parks. During the summer months of May, June, July, August and September, the Brighton and Hove area has many sunny days and the climate is generally fairly hot. However, English weather can be fairly unpredictable and changeable. The weather on the south coast is understandably at its coldest during the winter months although even December, January and February have fine and sunny days. If you are planning to visit outdoor attractions in the Brighton and Hove area during these months, it is always advisable to take an umbrella. Whatever the weather, there is always plenty to see and do in this seaside city.